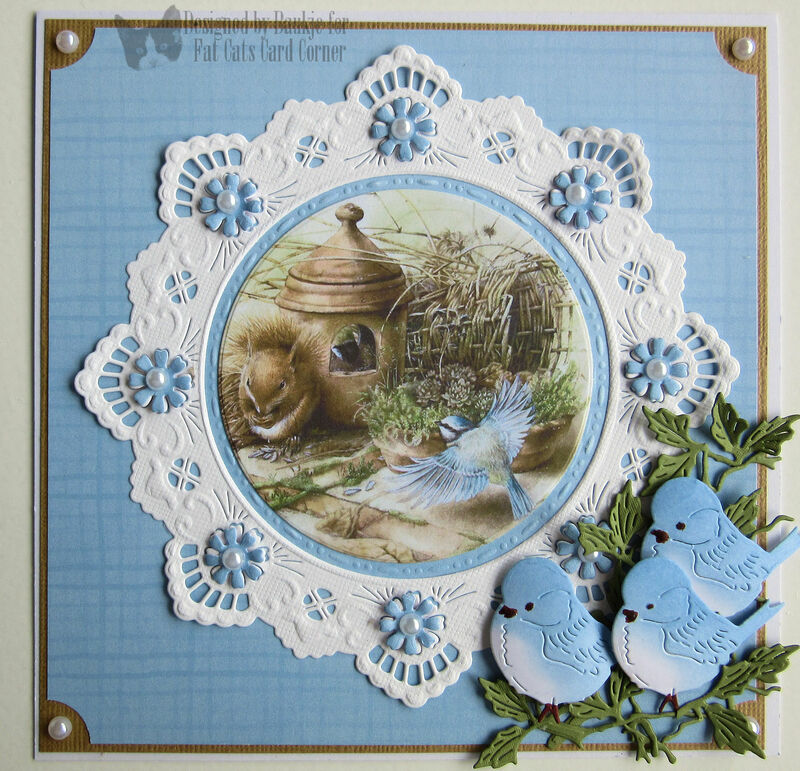 I'm back making cards for Kaaren at Fat Cats Card Corner after a bit of time off for moving house/unit. 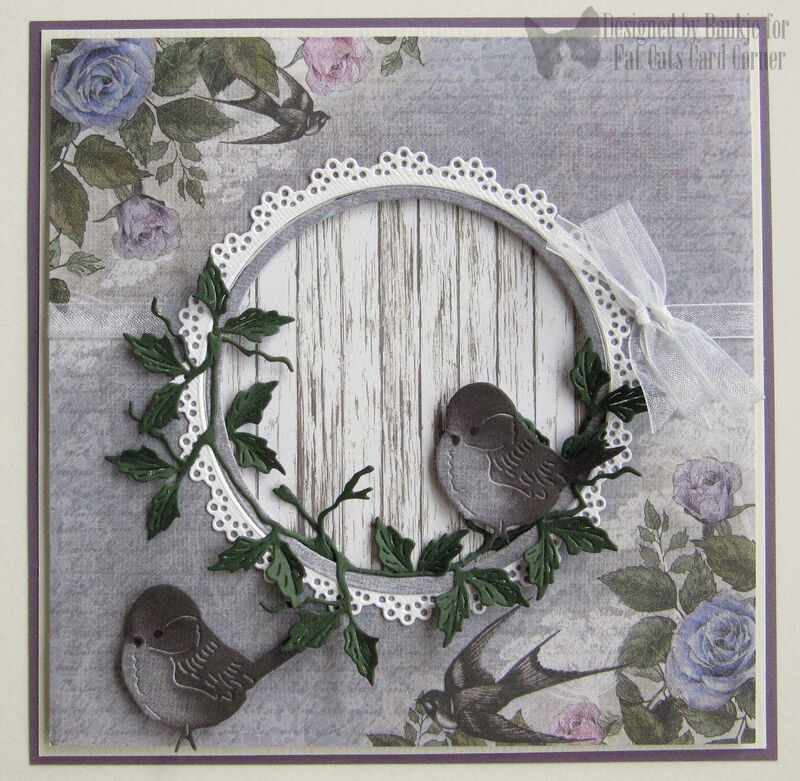 The Fat Cats Card Corner products I've used are the Marianne Design Creatables Petra's Circle w/Bird LR0457, the Marianne Creatables Frogs and Dragonfly LR0461, and the beautiful papers from the 6"x6" Rambling Rose Paper Pad by Ultimate Crafts. The flowers I made using the Sue Wilson Perfect Peony Die and the leaves are Spellbinders Foliage. Marianne Craftable Basic Circle CR1331 to cut the center image. Here I've again used the Marianne Design Creatables Petra's Circle w/Bird LR0457, the Marianne Creatables Frogs and Dragonfly LR0461, and the beautiful papers from the 6"x6" Rambling Rose Paper Pad by Ultimate Crafts. 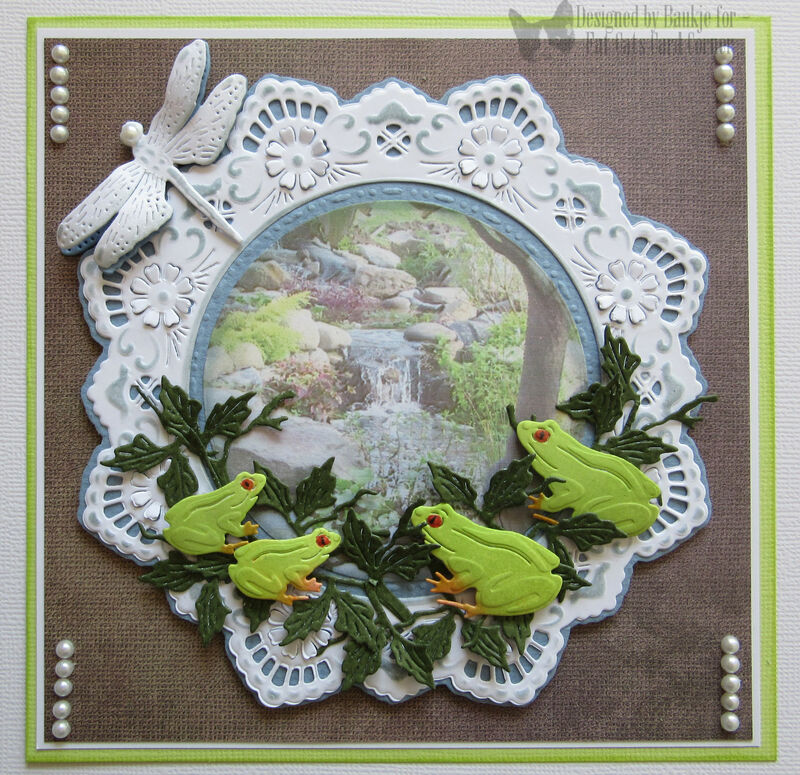 I love the little red eyed green tree frogs so coloured my frogs to look like them. 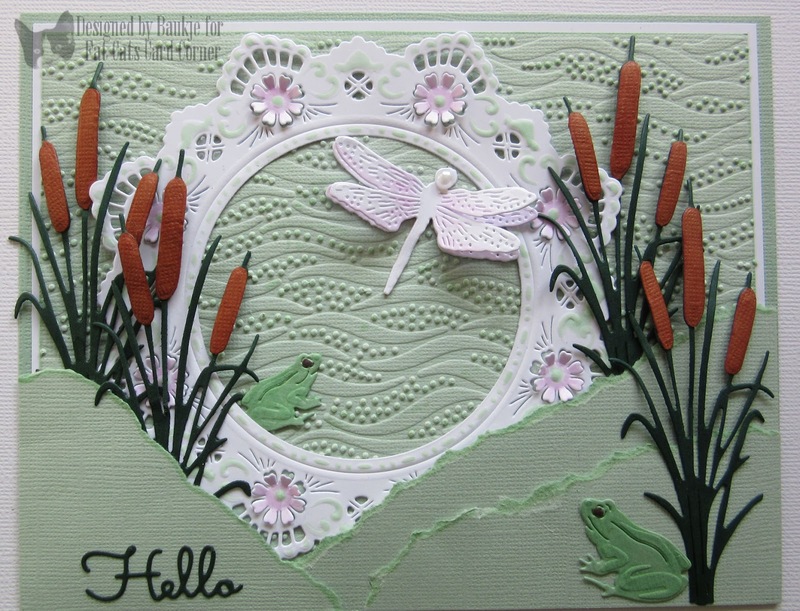 Marianne Design Creatables Petra's Circle w/Bird LR0457, the Marianne Creatables Frogs and Dragonfly LR0461, Marianne Creatables Tiny's Cattails LR0409. the embossing folder I used is the Sue Wilson Dotted Wave Pinpoint. 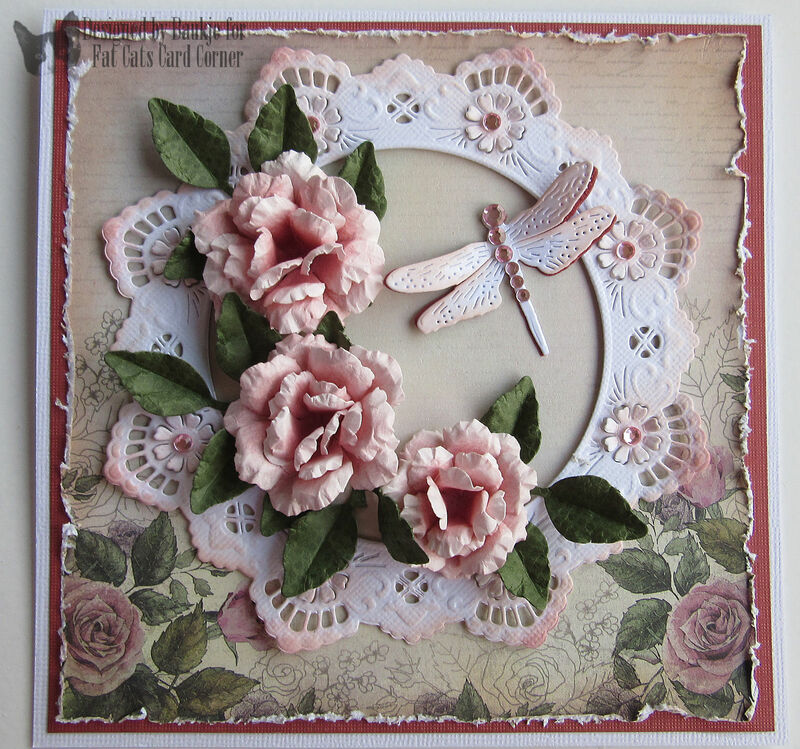 papers from the 6"x6" Rambling Rose Paper Pad by Ultimate Crafts.